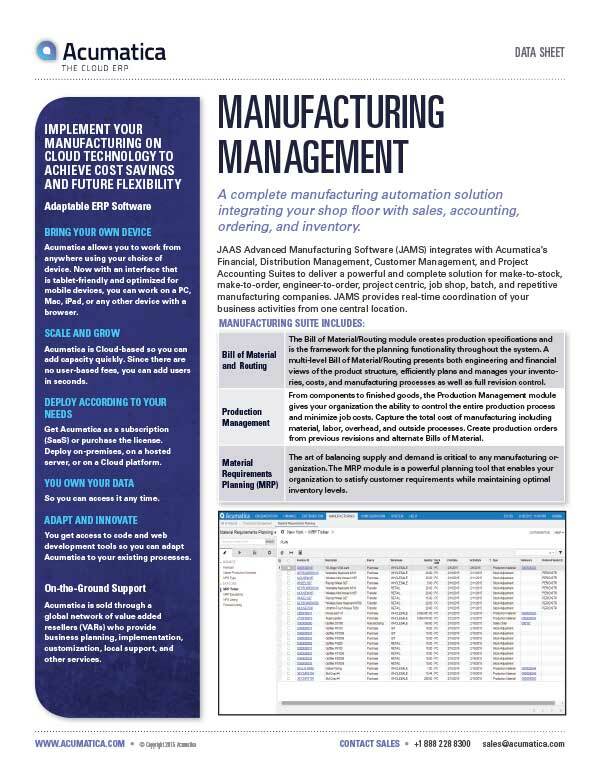 JAAS Advanced Manufacturing Software (JAMS) integrates with Acumatica’s Financial, Distribution Management, Customer Management, and Project Accounting Suites to deliver a powerful and complete solution for make-to-stock, make-to-order, engineer-to-order, project centric, job shop, batch, and repetitive manufacturing companies. JAMS provides real-time coordination of your business activities from one central location. Download the Manufacturing Management Suite datasheet to learn more.